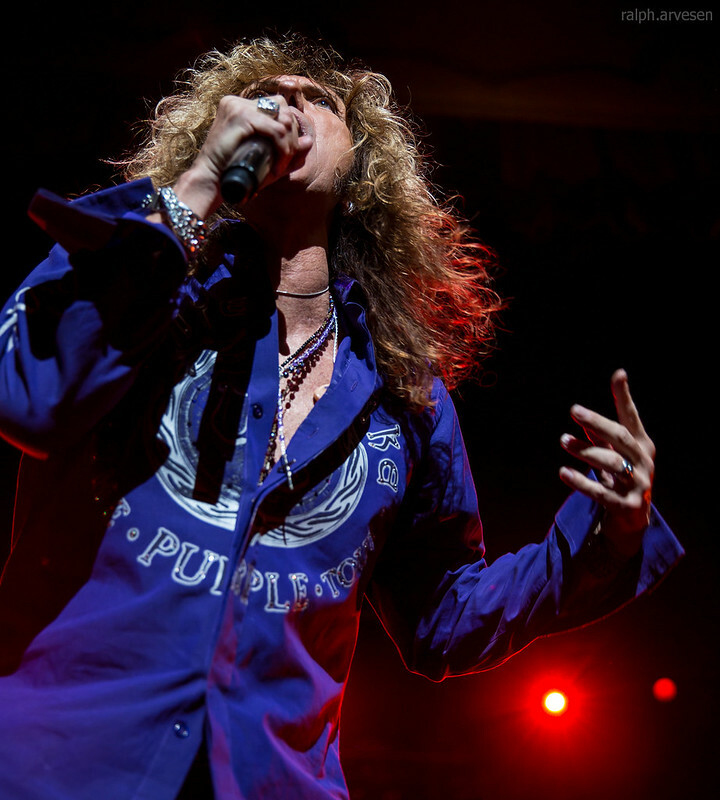 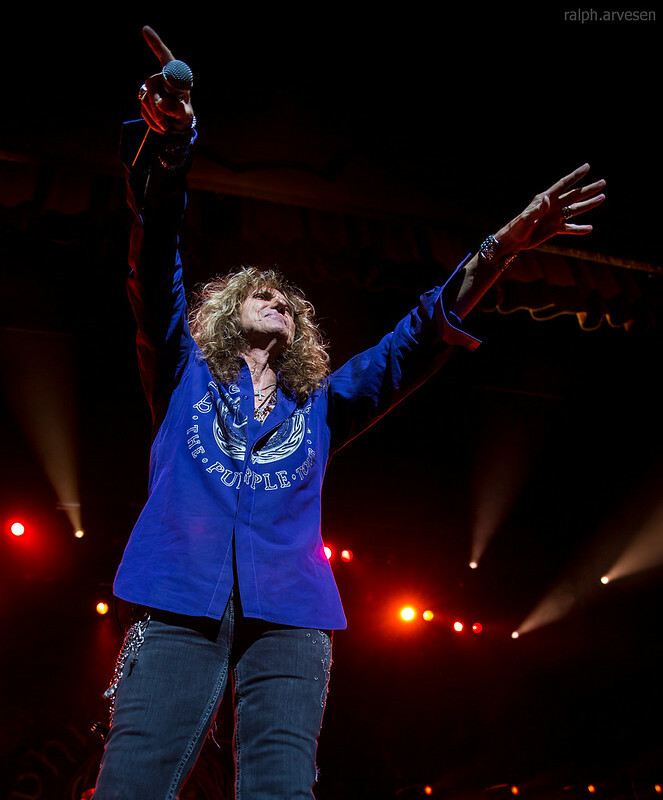 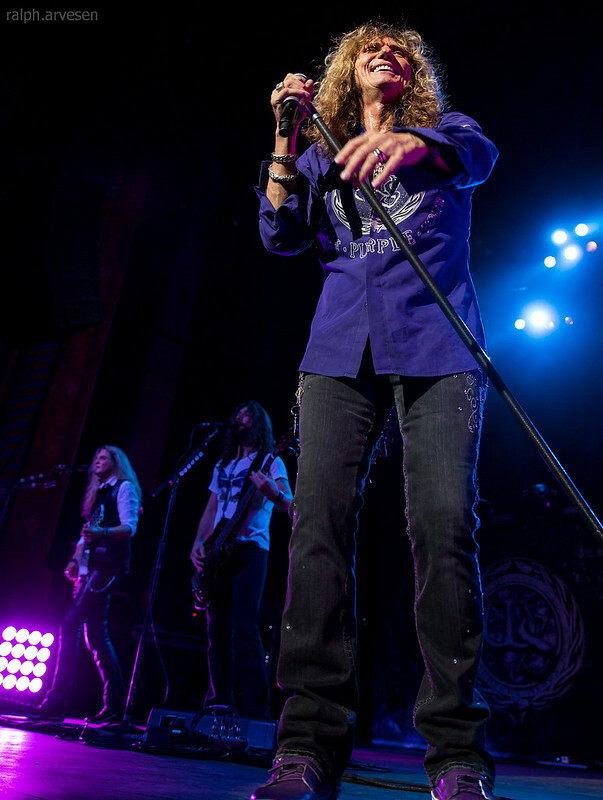 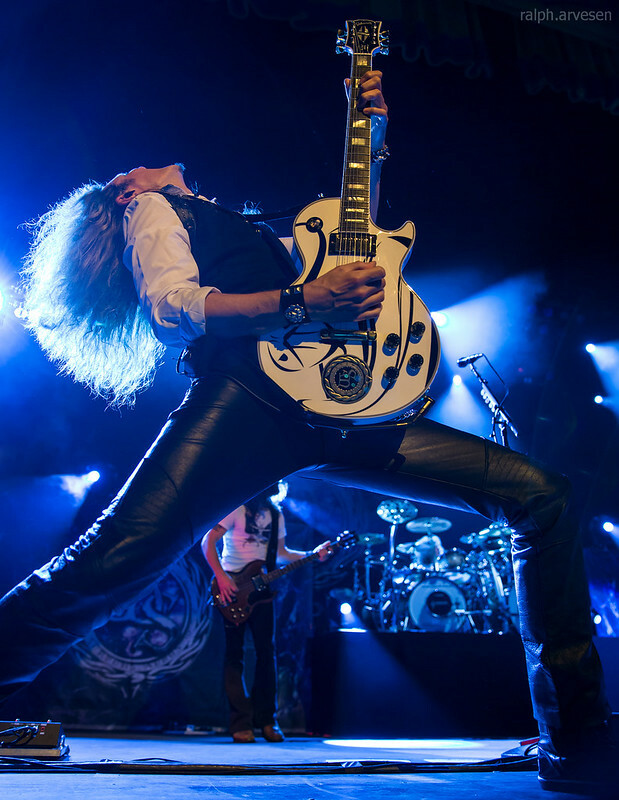 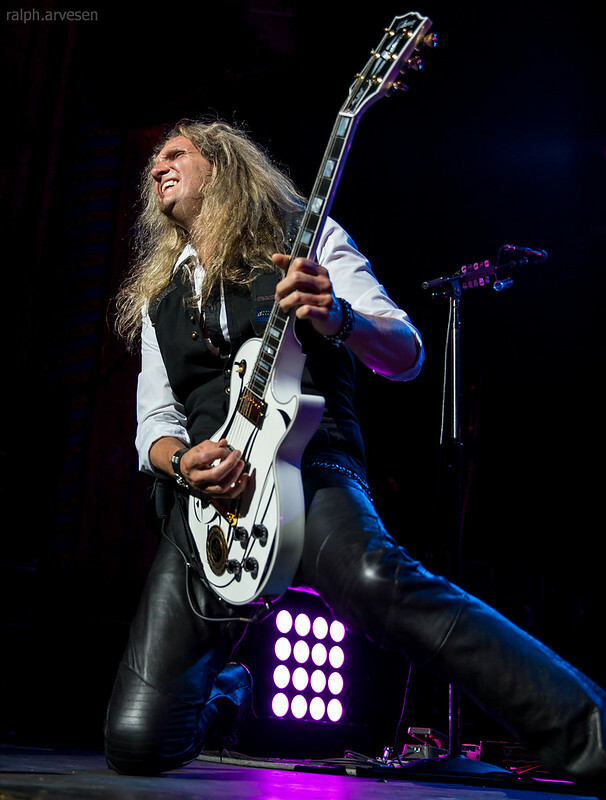 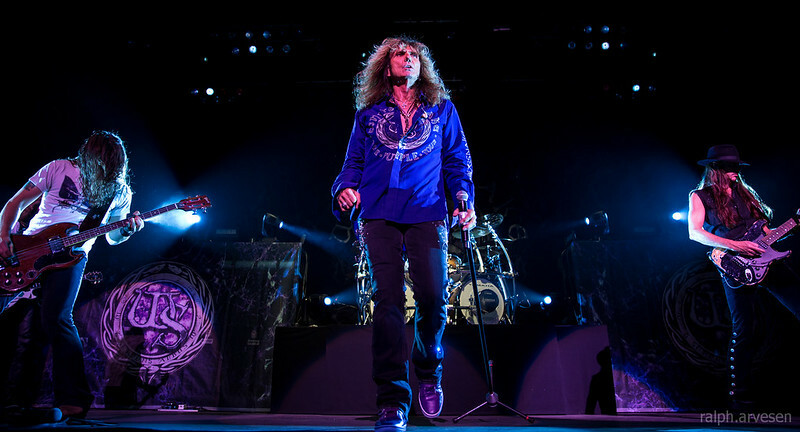 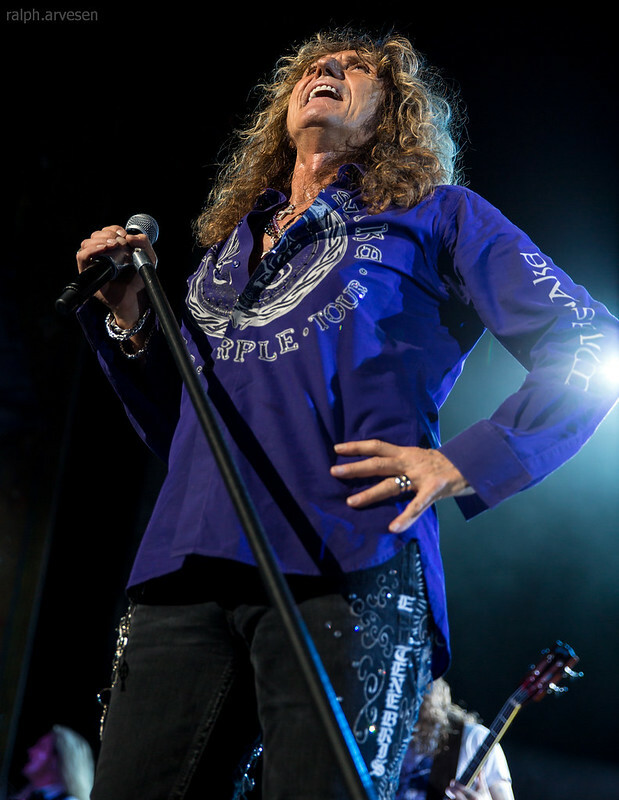 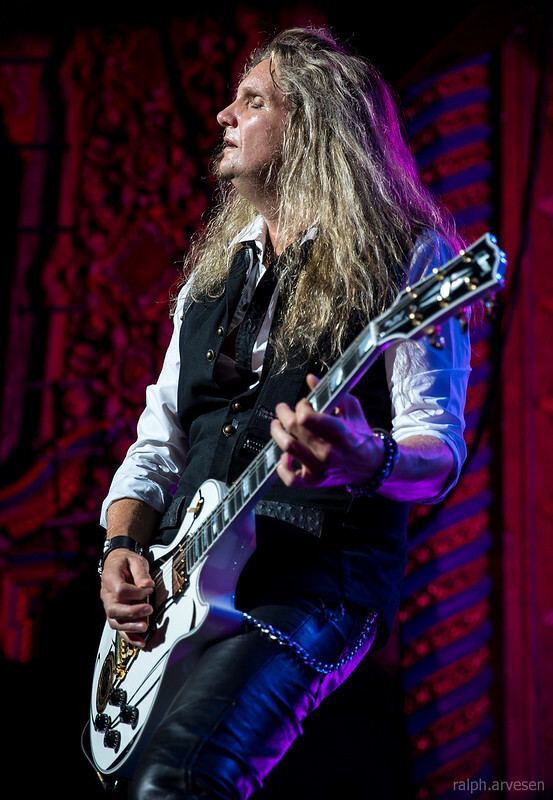 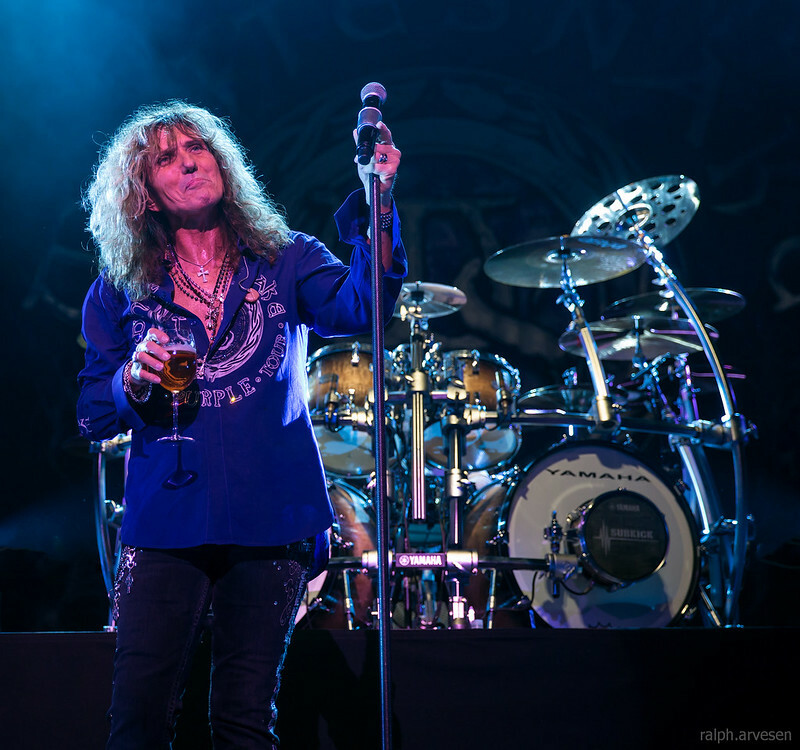 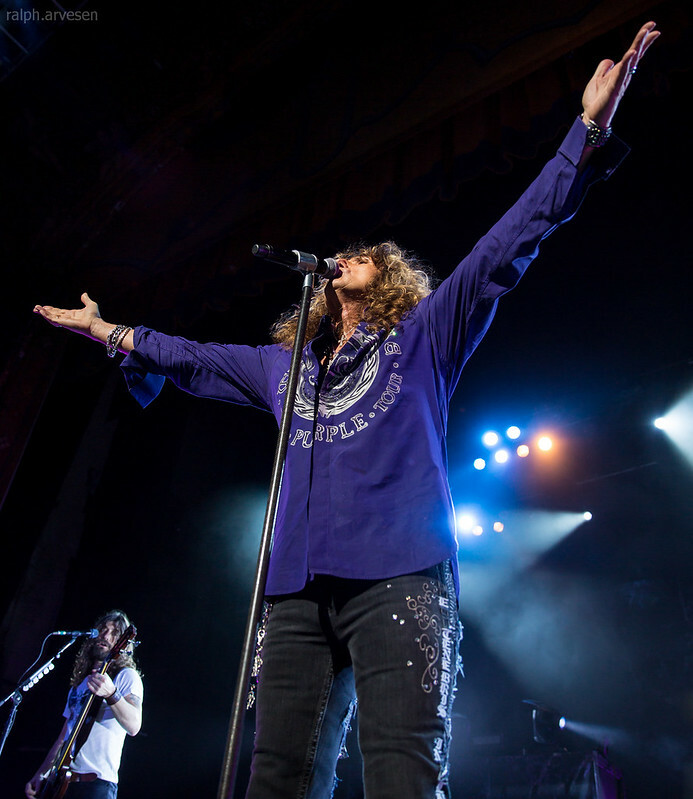 Whitesnake performing at the Majestic Theatre in San Antonio, Texas on June 23, 2015. 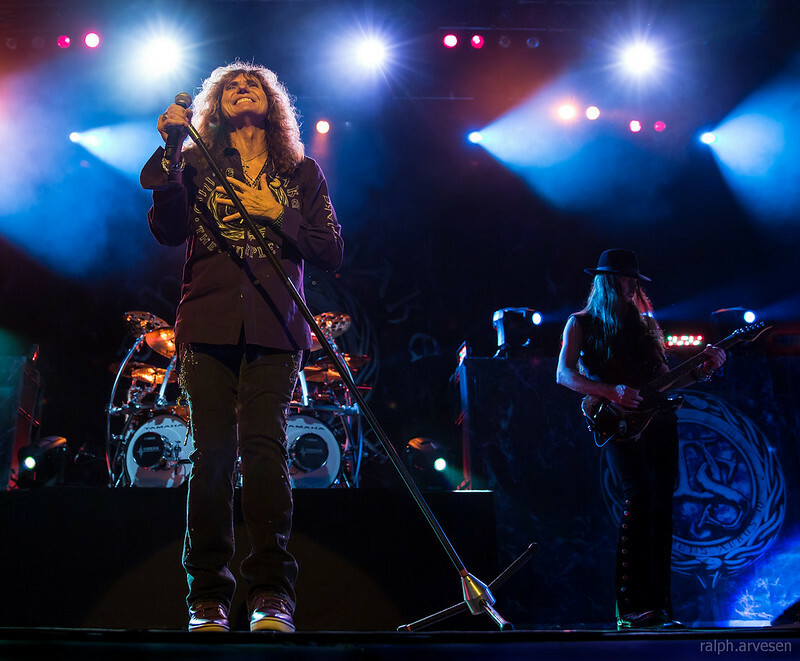 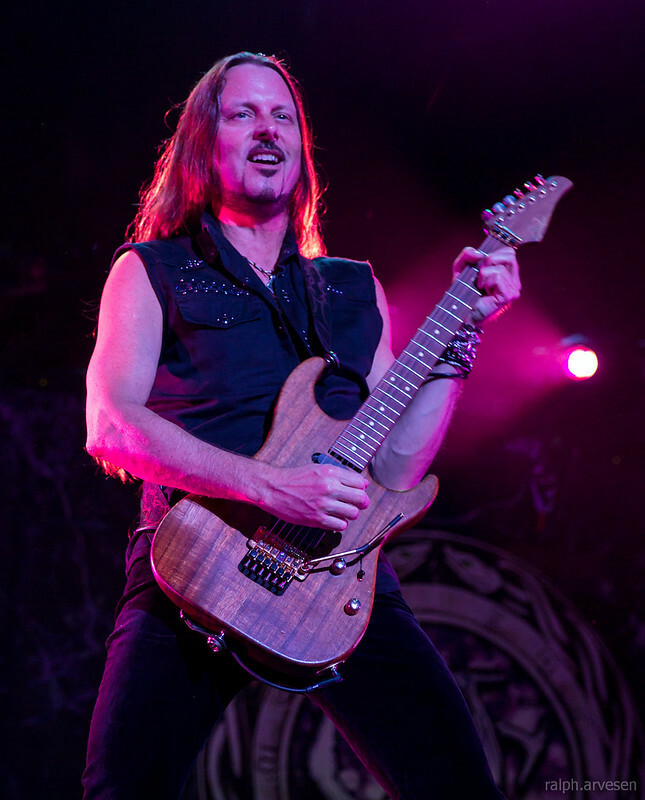 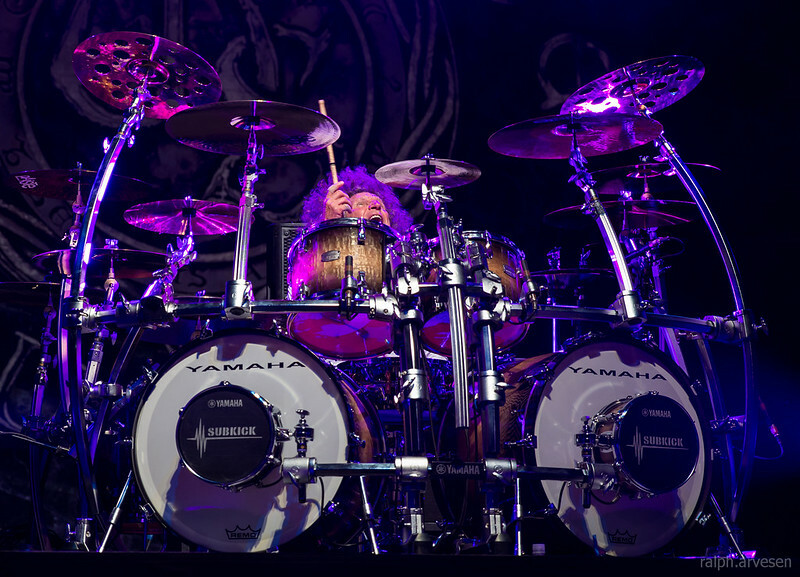 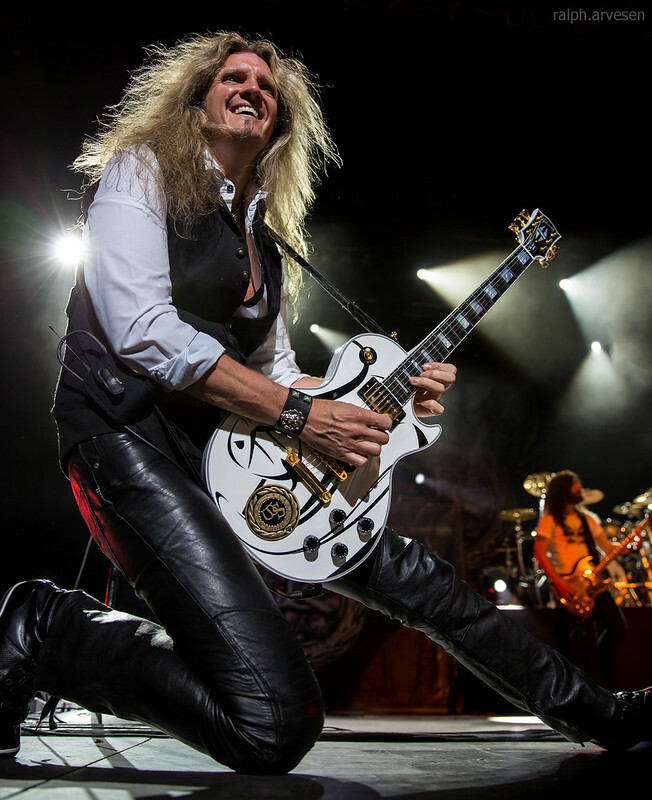 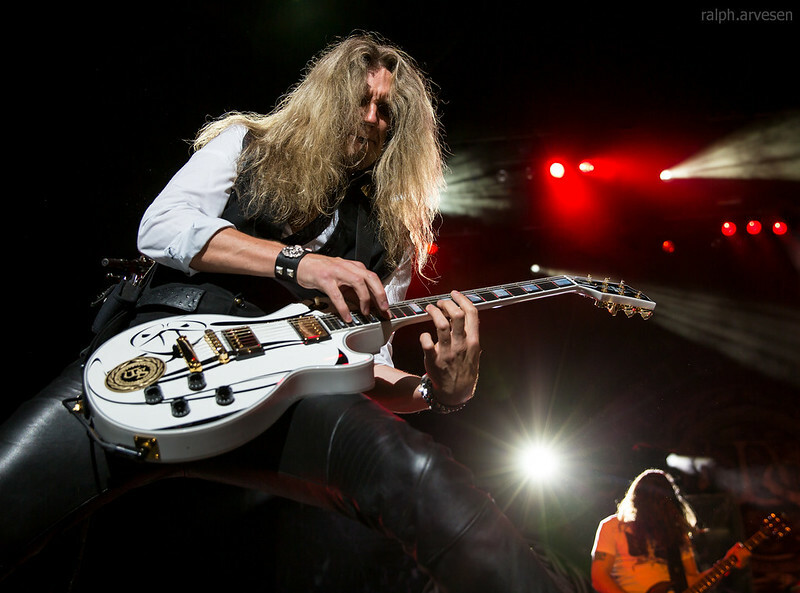 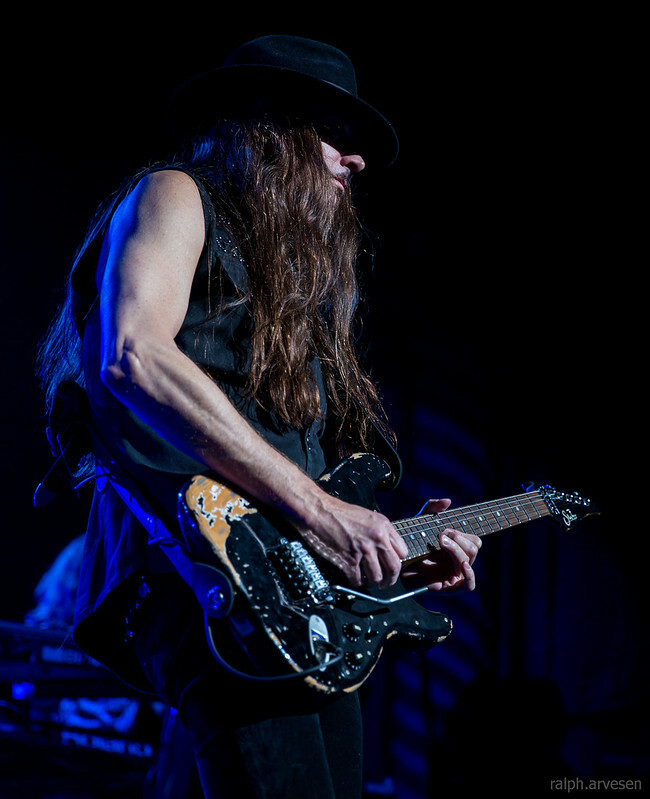 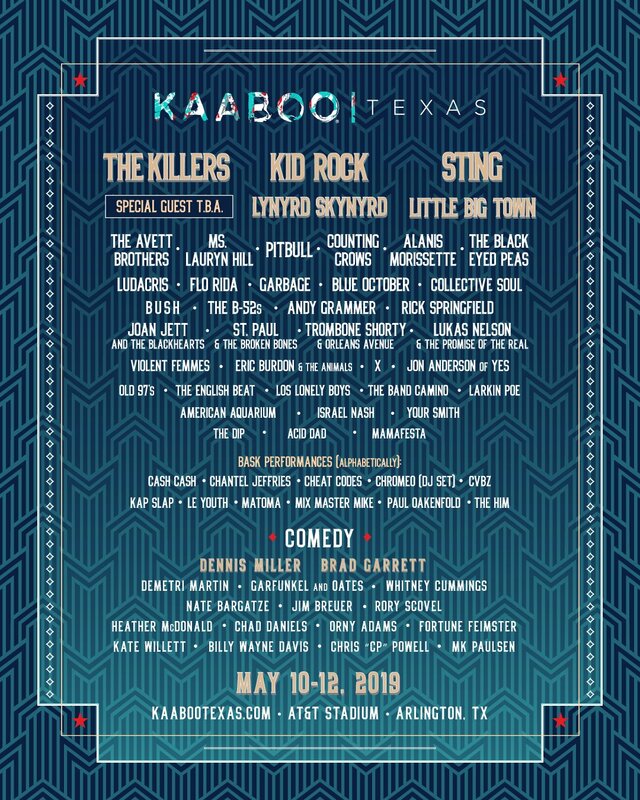 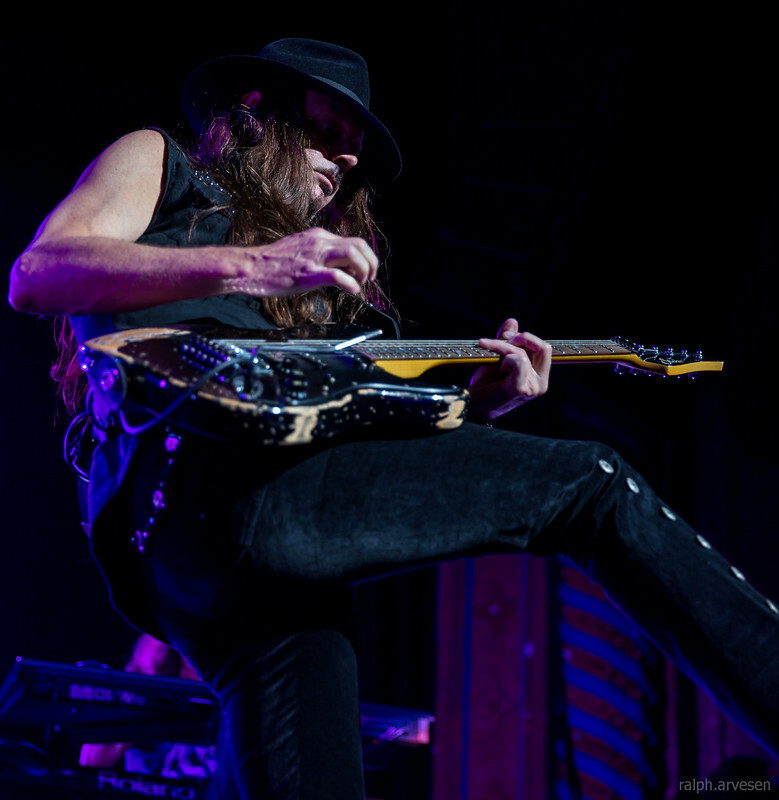 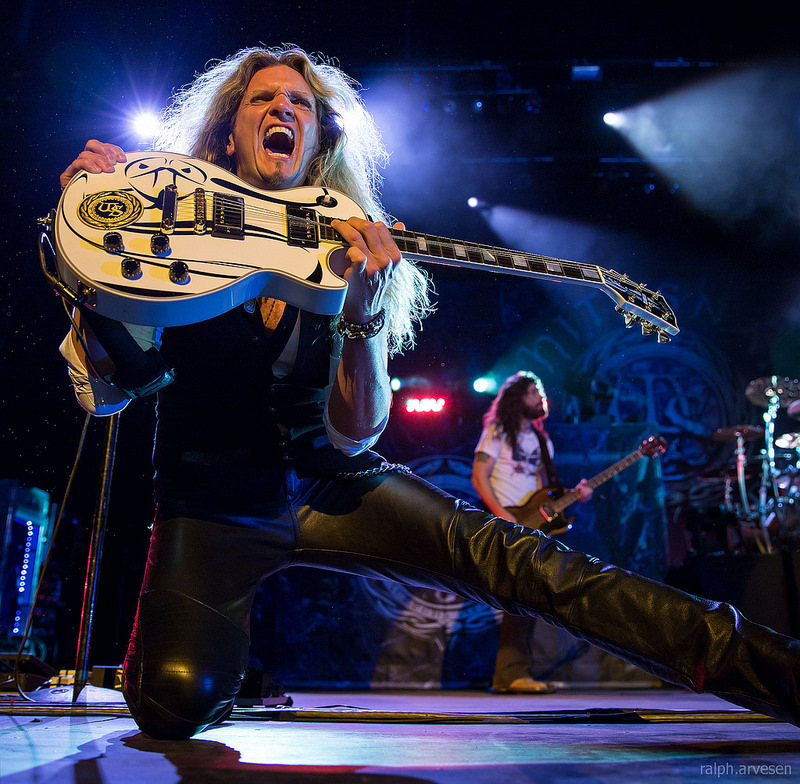 Band members include David Coverdale, Joel Hoekstra, Reb Beach, Michael Devin, and Tommy Aldridge. 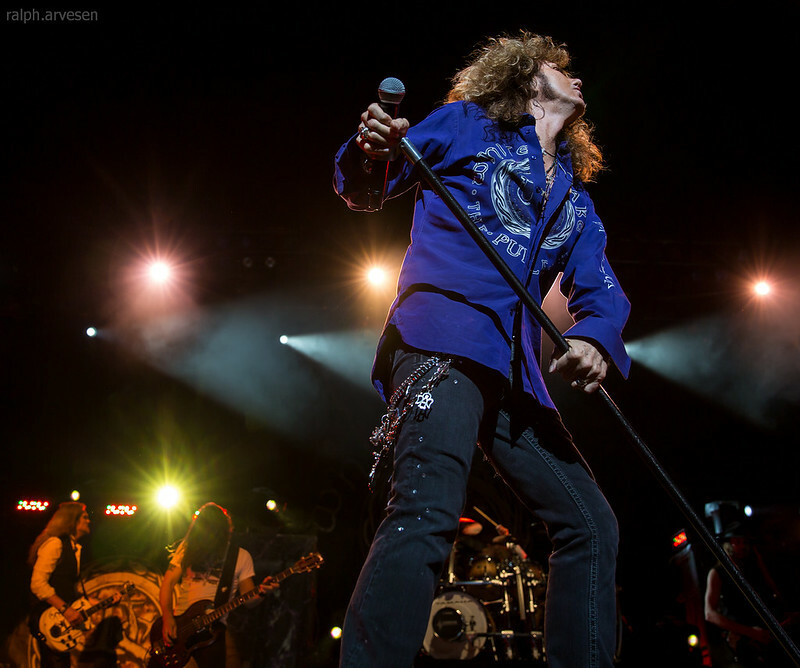 The Purple Tour started at the Northern Quest Casino in Airway Heights, Washington and wraps up at the Family Arena in St. Charles, Missouri, then continues overseas in Japan, Europe, and UK.